After downloading and opening up Eclipse you will need to create a new java project. This can be done by clicking "File->New Java Project". Fill in a project name and click finish. 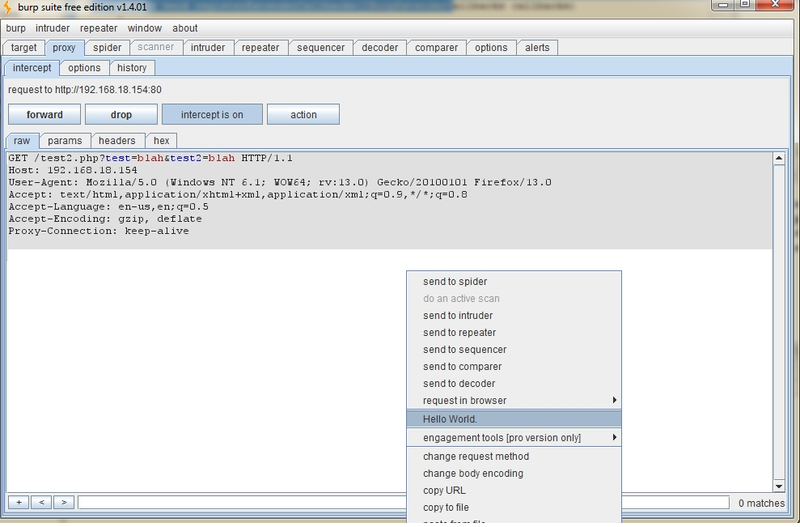 Next we can add the Burp application into the project. To do this click on "Project->Properties" on the top toolbar. When the dialog opens select "Java Build Path" and then the "Libraries" tab. 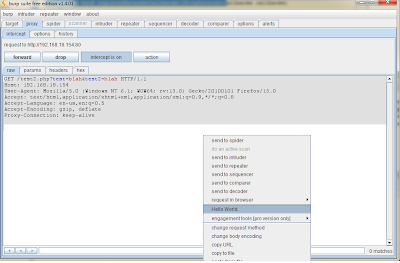 On this dialog click "Add External JARs..."
You should now see the burp application running. Intercept a request in the application and right click on the request, you should now see an item in the menu named "Hello World."